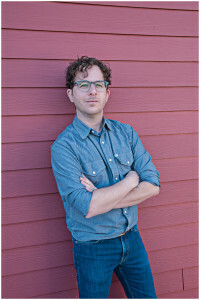 Cecil Horwitz, founder and clinical director of Whole Family Health, is an acupuncturist and Chinese herbalist with more than 7 years’ experience in women’s, men’s, and pediatric health. Cecil is board certified with the College and Association of Acupuncturists of Alberta (CAAA), is a certified Chinese Herbologist, is certified in obstetrical acupuncture and acupressure, and is a board certified fellow of the American Board of Oriental Reproductive Medicine (ABORM). Cecil is also trained in shonishin pediatric acupuncture and is certified in the field of Mind Body Medicine. Wanting to be at the forefront of combining Eastern and Western Medicine in fertility medicine, Cecil pursued large scale education in the reproductive health of women and men dealing with the desire to conceive naturally or in conjunction with Artificial Reproductive Technologies (ART). Having completed extensive graduate training with respected experts Jane Lyttleton, Bob Flaws, Debra Betts, Dr.Paul Magarrlli, Diane K. Cridennda, & Dr. Raven Lang, Cecil is a specialist in the fields of women’s health, reproductive medicine, and also pediatric care. Education and clinical research is of keen interest to Cecil. He is currently teaching Complementary and Alternative Medicine for Interprofessional Health Team Development at the University of Alberta Medical School, and is a clinical supervisor in acupuncture program at Grant MacEwan University. He is also involved with the Pediatric Integrative Medicine (PIM) Trial at the Stollery Children’s Hospital in Edmonton, which is the first trial of its kind to assess the impact of PIM service for hospitalized children. Cecil’s passion for health encompasses all stages of family, reaching the before, during, and after phases of a families desire to conceive, expanding specialization into pediatric care as well. Cecil integrates his passion for health and well-being with his practice, and is eager to give the best guidance possible to patients to help them create a life of balance and happiness. His commitment to health and community is seen in his dedication and love for his patients. 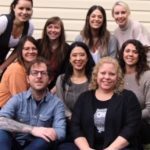 Cecil’s practice Whole Family Health in Edmonton, Alberta currently has 4 acupuncturists, a naturopathic doctor, a massage therapist, a yoga/meditation instructor, and amazing support staff. 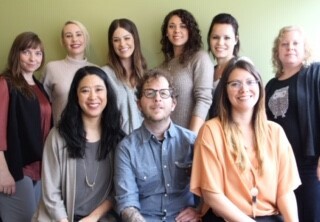 An important team mission of the practice is to continue to seek out Western medical practitioners who are interested in working in an integrative environment. “Nothing brings me more joy than to see my patients achieve their health goals, and I feel truly honored that I could be apart of their journey” Ultimately, Christina’s passion is in the treatment of male and female fertility, gynecology, and obstetrics. She has dedicated her practice to supporting men and women to optimize their fertility, and providing support throughout pregnancy so they can achieve their dreams of having healthy, happy families. In order to provide the best treatment to her patients Christina has taken extensive postgraduate training in all three fields and became a fellow of the American Board of Oriental Reproductive Medicine (ABORM). Becoming an acupuncturist was a decision Christina made due to acupuncture treatments having a profound effect on her health and wellness. Subsequent to a car accident, acupuncture was a treatment that helped her cope with her pain and she wanted to help others achieve their health goals the same way she did with acupuncture. 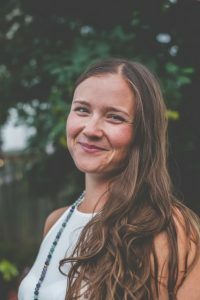 On the path to becoming an acupuncturist Christina studied holistic health specializing in reflexology and acupressure, graduating from both the Holistic Health and Acupuncture programs at Grant MacEwan University. After graduation She became certified with the College and Association of Acupuncturists of Alberta (CAAA) and has maintained good standing with them ever since. 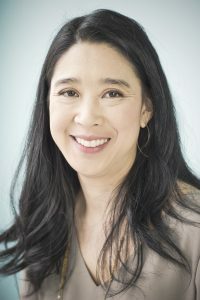 Dr. Alda Ngo is a registered Doctor of TCM with the College of Traditional Chinese Medicine & Acupuncture of BC (CTCMA of BC) and a registered Acupuncturist with the College and Association of Acupuncturists of Alberta (CAAA.) After completing her Bachelor of Science degree in General Biology at UBC, she studied at the International College of Traditional Chinese Medicine in Vancouver, where she completed the Doctor of TCM program. Alda has been practicing TCM since 2005. In 2007, she began her specialization in reproductive medicine at Acubalance Wellness Centre; a leading integrative clinic, internationally known for treating infertility, pregnancy and reproductive health. She is grateful for the opportunity to have mentored with Dr. Lorne Brown for over 11 years, during which time she has also furthered her studies with international leaders in such fields as Diagnostics, Fertility, Obstetrics & Integrated Reproductive Medicine. She continues to deepen her knowledge & cultivate her skills through on-going post-graduate professional development. She has volunteered locally working with children with disabilities & internationally as part of a health outreach initiative with women’s groups in Guatemala. Her TCM studies also brought her to China, where she completed a practicum at the Anhui University Hospital of TCM in Hefei. Alda became a fellow of the American Board of Reproductive Medicine (ABORM) in 2008. 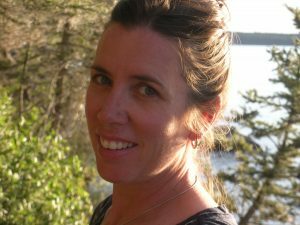 She is currently a Quality Assurance advisor for the CTCMA of BC & a member of the Obstetrical Acupuncture Association (OBAA). She is also past executive coordinator of the former TCM Association of BC (TCMABC). Alda has worked as an acupuncturist on-site at Olive Fertility Centre, Pacific Centre for Reproductive Medicine (PCRM), Genesis Fertility Centre & the former UBC Centre for Reproductive Health in Vancouver. As a long-time practitioner of Mindfulness Meditation, Alda is a facilitator of Mindfulness-based programs & women’s groups. Please go to www.mindfulnessforfertility.com for more information on current programs. Alda’s own fertility story deeply informs her practice with patients. It is her aspiration to help support patients on their journeys toward balance & the continual cultivation of overall well-being. Alda is living in Edmonton, Alberta with her husband Sean & their son Tien. She is happy to be continuing her TCM Practice at Whole Family Health. Kelsey was always drawn towards a more natural way of achieving health and wellness. When her own health was affected, a friend suggested she try acupuncture. After experiencing the profound healing affects first hand, she was hooked! Graduating from Grant MacEwan University in 2011 with her Diploma of Acupuncture, she continues to further her education. Most recently attending the Lower Extremity Acusport Seminar with Ian Dunsmuir. Kelsey is passionate about helping others with digestive disorders and pediatrics – “Being able to help a child is beyond rewarding.” Staying current and up to date on cutting edge techniques and studies is an ongoing priority for Kelsey. Kelsey uses a gentle approach to acupuncture and incorporates other modalities such as fire cupping, moxa, tui na, and gua sha into her treatments. She also specializes in fertility, sports injuries, chronic pain, allergies, mental health, and more. Preventative and holistic health care has been Paige’s passion from a young age. Her early experience with natural medicine, and energy work influenced her to pursue a career in holistic health care. Paige started out with her certificate in Reflexology, which led her to explore Quantum Touch and other Energy Work alongside experienced practitioners. 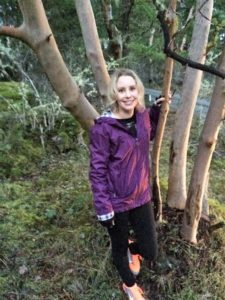 This exposure combined with her own ideas of what healthcare should consist of and her desire to share it with others has led her to Pacific Rim College in Victoria, BC. She proudly graduated from her three-year Diploma of Acupuncture in April 2014, and is now a board certified Registered Acupuncturist with the College and Association of Acupuncturists of Alberta (CAAA). 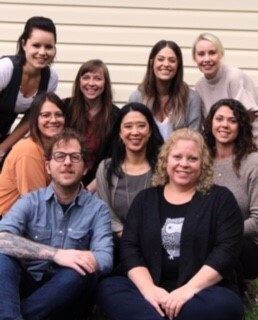 After graduation, Paige returned to her home province of Saskatchewan and began her own practice in Saskatoon at a health collective clinic working together alongside different practitioners and modalities. 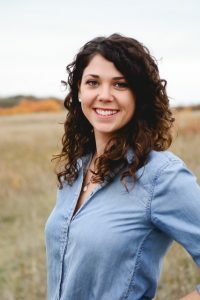 Paige’s interest for Women’s Heath has led her to broaden her studies in fertility, pre/post natal treatments, gynecology, and mental/emotional disorders. 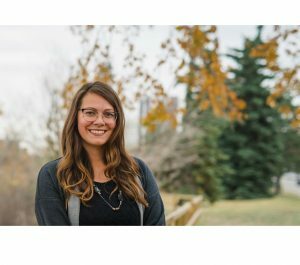 Paige’s recent move to Edmonton has opened up many opportunities for her including being a part of Whole Family Health where she hopes to continue to expand her knowledge in the field of both male and female fertility. 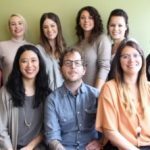 Paige’s unique treatments blend Qi Gong, Acupuncture, Gua Sha, Tui Na (chinese massage), fire cupping, and diet therapy. She looks forward to sharing her passion for preventative health, and help you achieve overall balance of body, mind, and spirit. To get to know Paige, and ask her any of your questions, visit her Facebook business page at Paige Wyatt Acupuncture! Massaging since 2007, Jules has been slowly adding a dynamic and well rounded set of skills to her treatments. Her massages are a deeply meditative experience that will leave you feeling rejuvenated and grounded. Her treatments are deep and therapeutic while simultaneously relaxing and balancing. She infuses her treatments with a handful of modalities including traditional Thai, Ayurvedic Abhyanga, cupping therapy, Gua Sha and aromatherapy. As a current student of Acupuncture at Grant Macewan University, she also loves to incorporate her newer skills as she builds them.